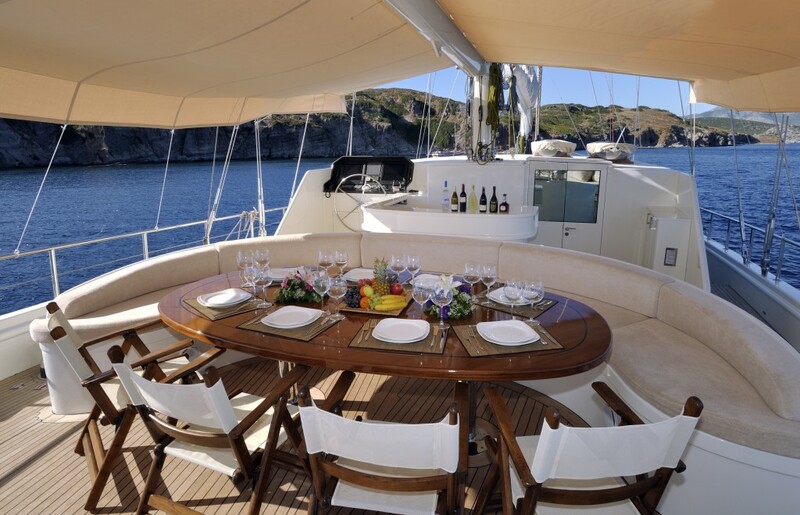 Above deck DOLCE MARE is beautifully finished with a very functional layout including elegant alfresco dining and plenty of large oversized lounges and cushions. 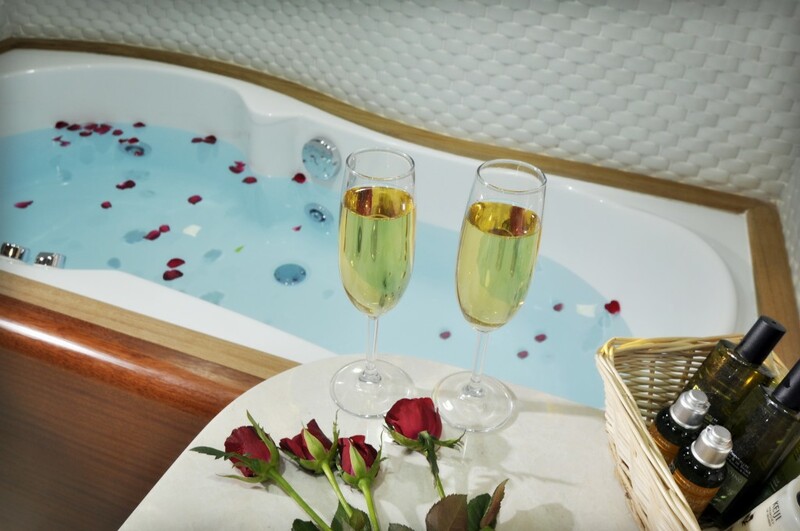 Her functionality continues below decks with her six spacious cabins including two master cabins, each with a Spa Pool bath. 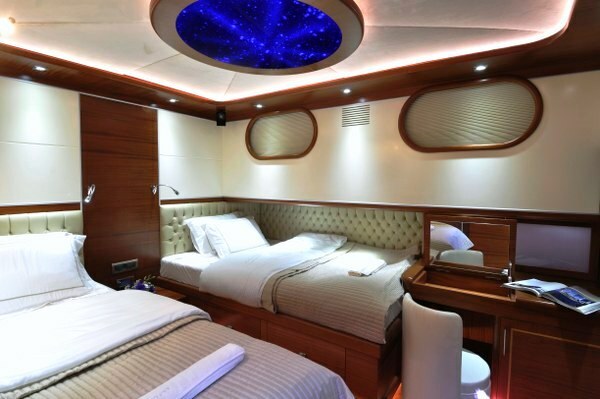 Her two double cabins have contemporary circular shaped beds and her two twin beds convert to doubles for extra functionality. 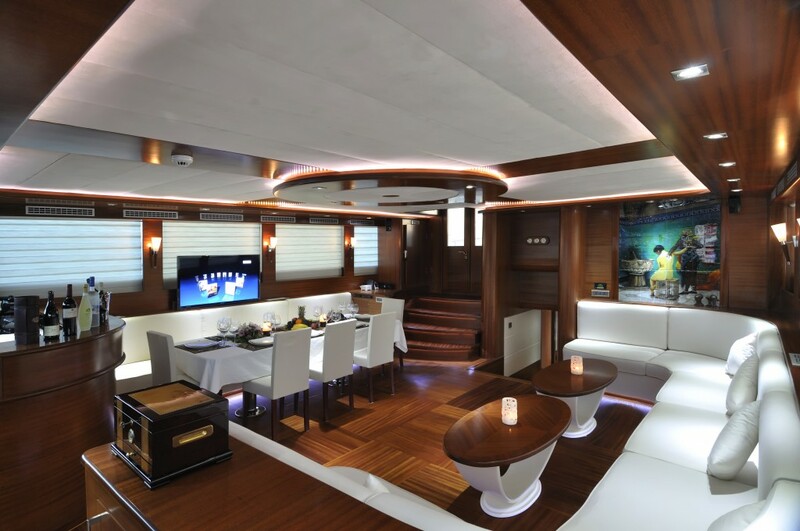 The sense of space, comfort and style onboard S/Y DOLCE MARE extends to the elegant saloon with solid wood parquet flooring and beige tones, where on cooler evenings, guests can dine and then relax on comfortable sofas. There’s no shortage of entertainment with a plasma screen TV, DVD player, wireless internet connection and superb music system which can be switched to the aft deck. 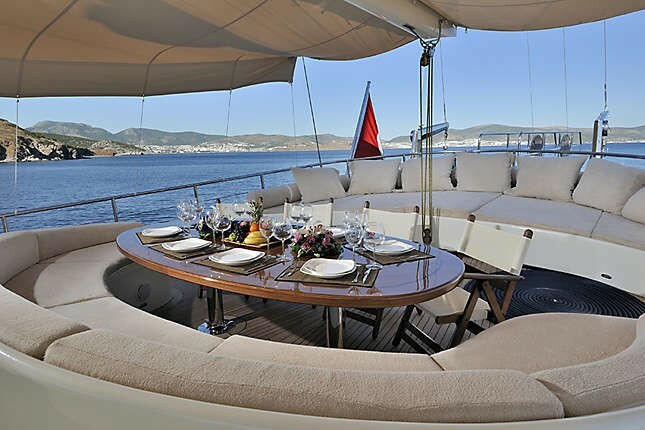 On warm Turkish nights there’s no better place to be than on the aft deck where up to 12 guests can be seated comfortably around the table and recline on cushions after dinner. 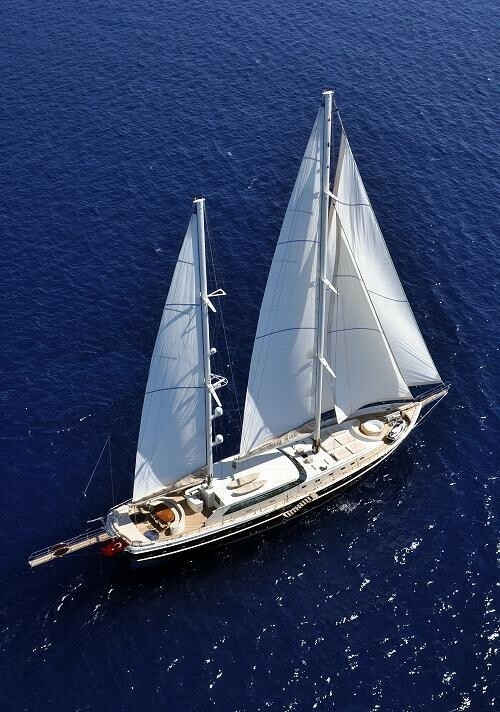 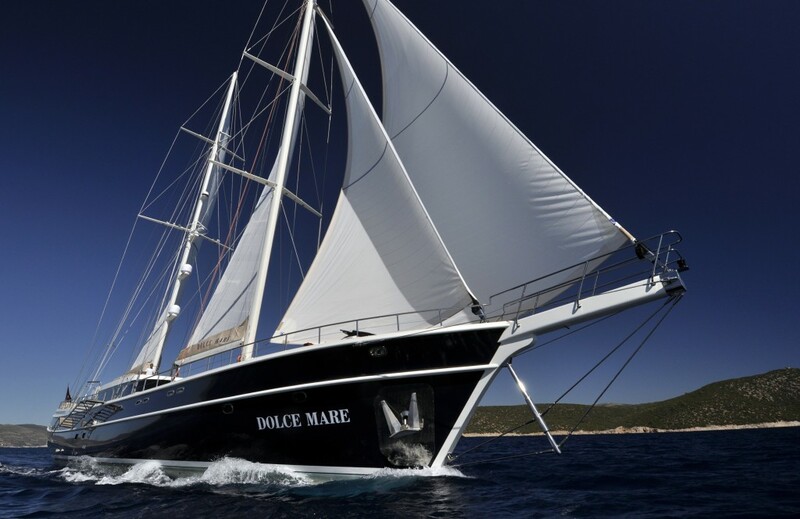 Sailing yacht DOLCE MARE is fitted with the latest equipment for ease of navigation, sailing and manoeuvring. At anchor plenty of water toys are on hand for the actively inclined. 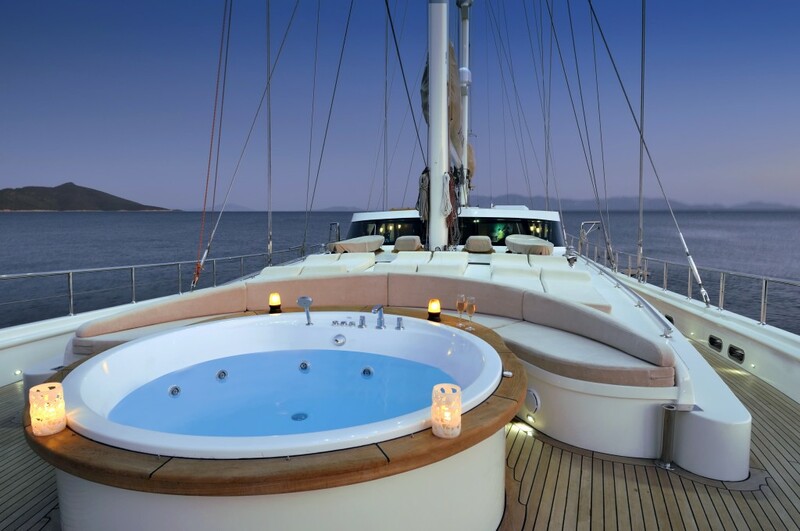 The extensive cushioned foredeck allows guests to relax in sun or shade or cool off in the on-deck Spa Pool. 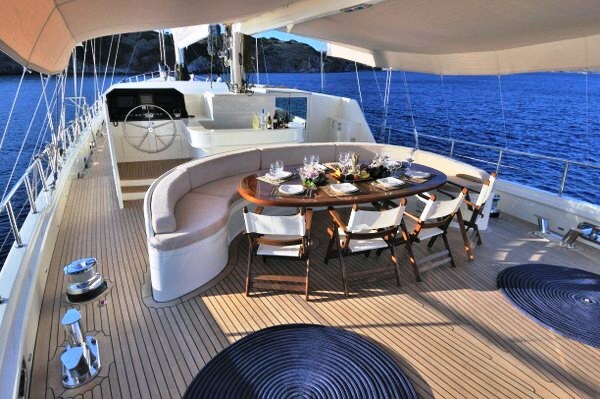 Seating at the bow for pre-dinner drinks is a further feature. 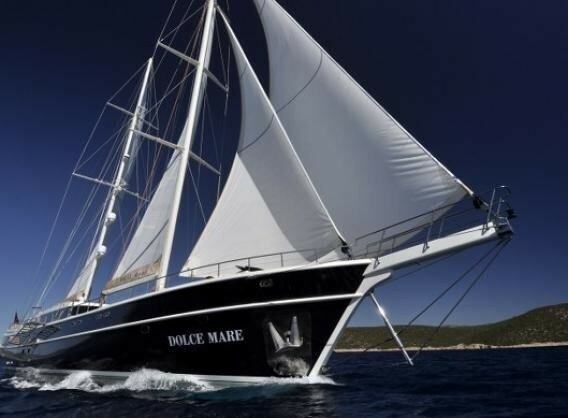 The captain and 5 crew of DOLCE MARE are highly trained and dedicated to take care of guests’ safety and comfort. 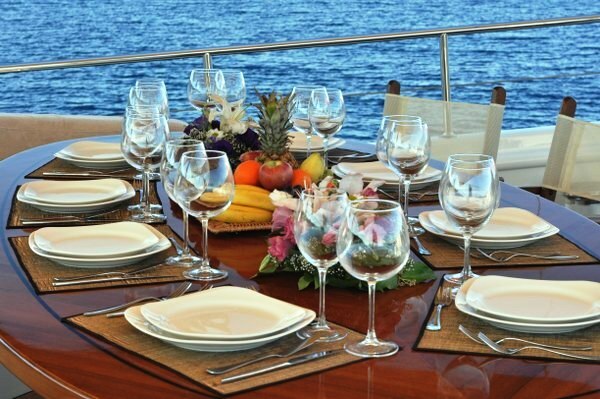 They provide a full service; cooking, cleaning, serving and arranging daily activities. 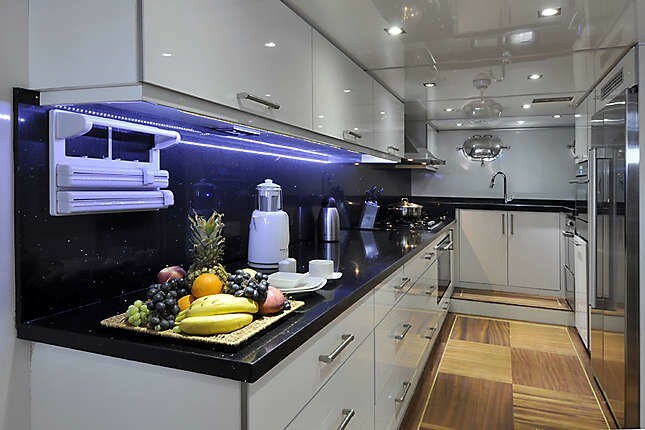 Superb meals are produced from the state of the art galley, fully equipped with the latest refrigeration systems and cooking facilities. 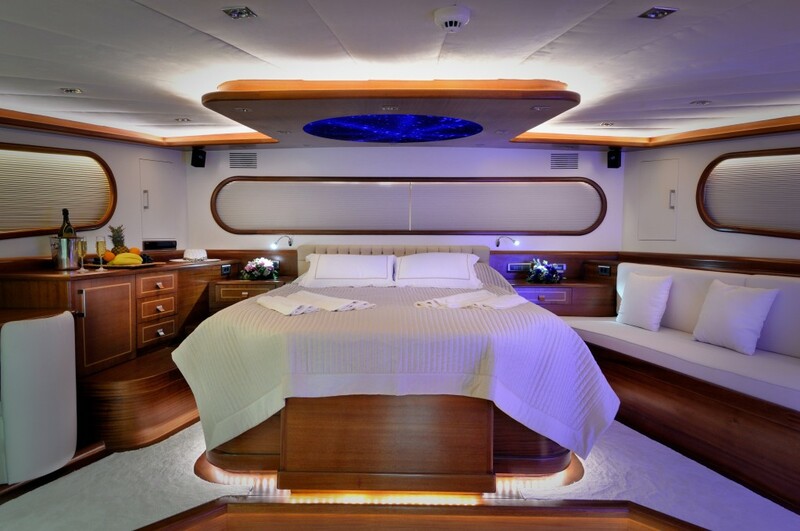 The crew instinctively know when guests require their services and discreetly withdraw when privacy is preferred. 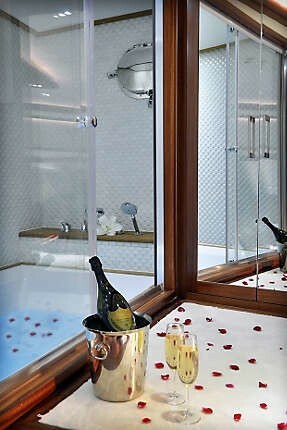 They have their own separate accommodation and bathroom facilities. 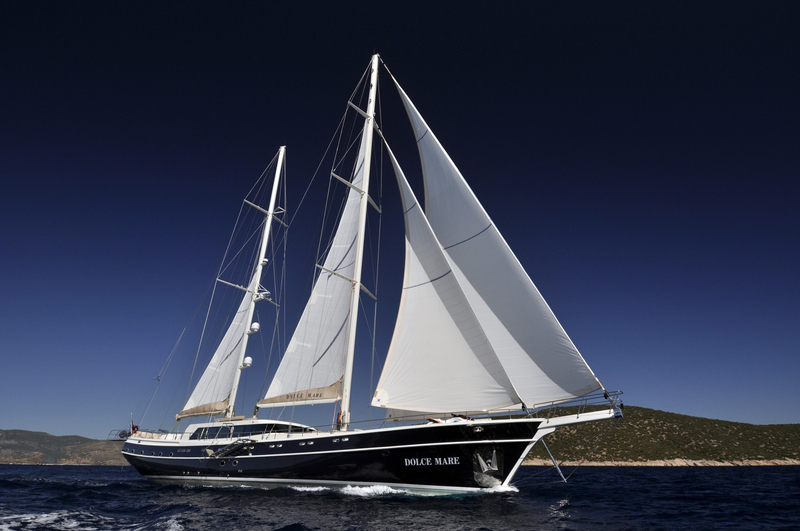 Based in Bodrum, DOLCE MARE is the ideal Luxury Gulet to explore Turkey, the Carian Coast and the Greek Dodacanese Islands. 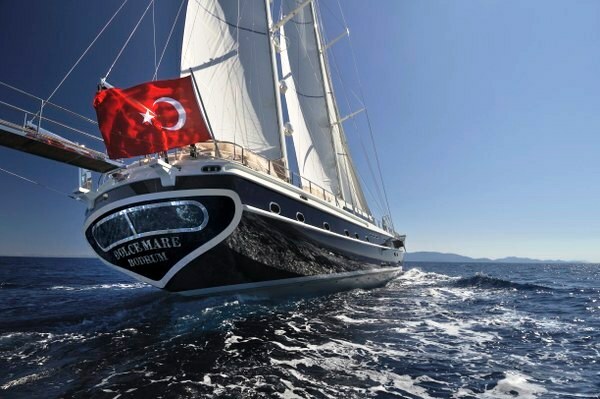 Luxury Gulet DOLCE MARE can accommodate 12 guests in 6 cabins. 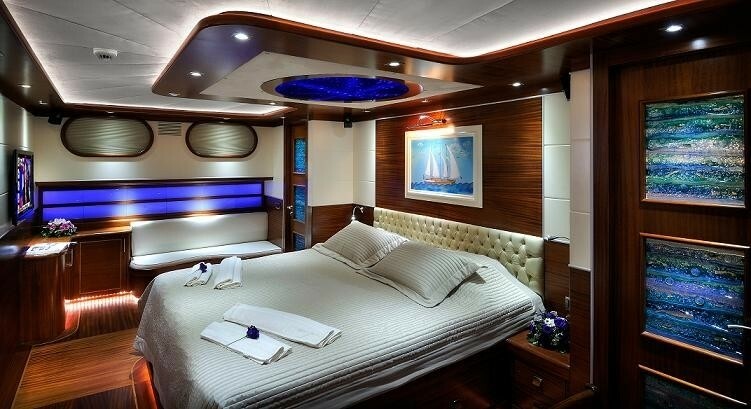 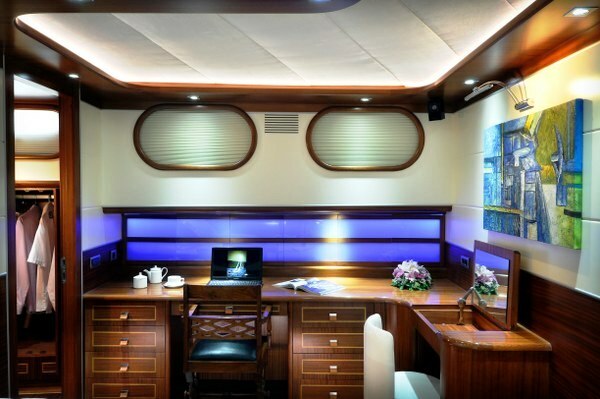 She has 2 large master cabins with king size beds, sofa seating and work desk/dressing table. 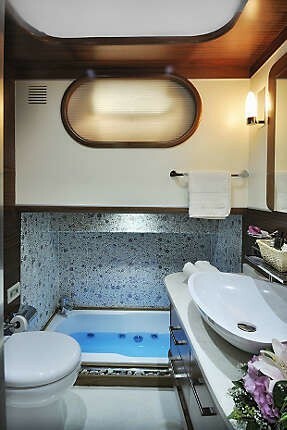 The forward master has a walk through dressing room, shower room and bathroom with whirlpool bath. 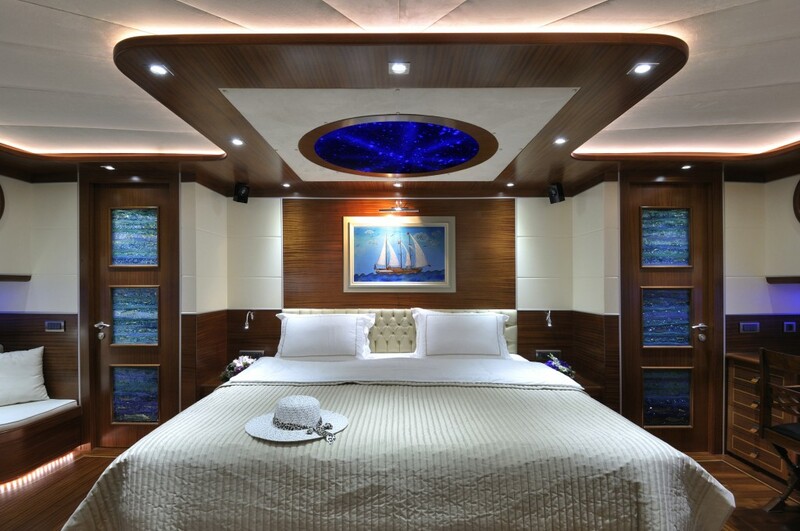 The aft master has a retractable TV screen at the foot of the bed. 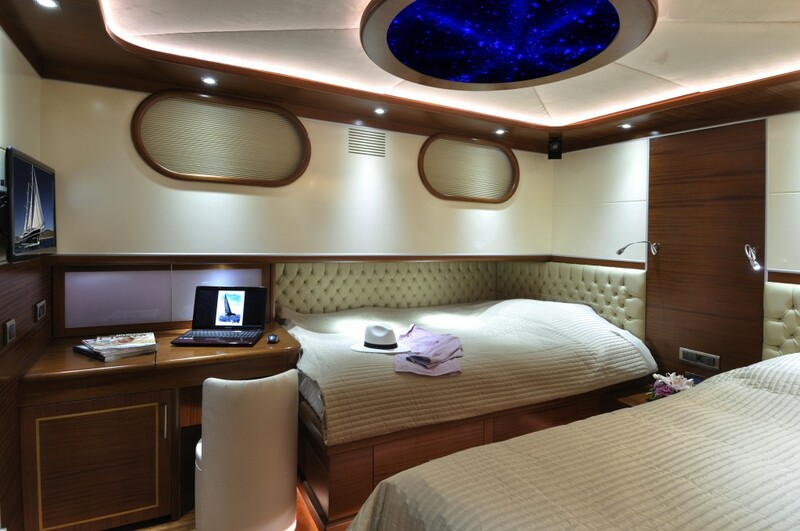 The 2 double cabins have circular beds and there are a further 2 twin cabins. 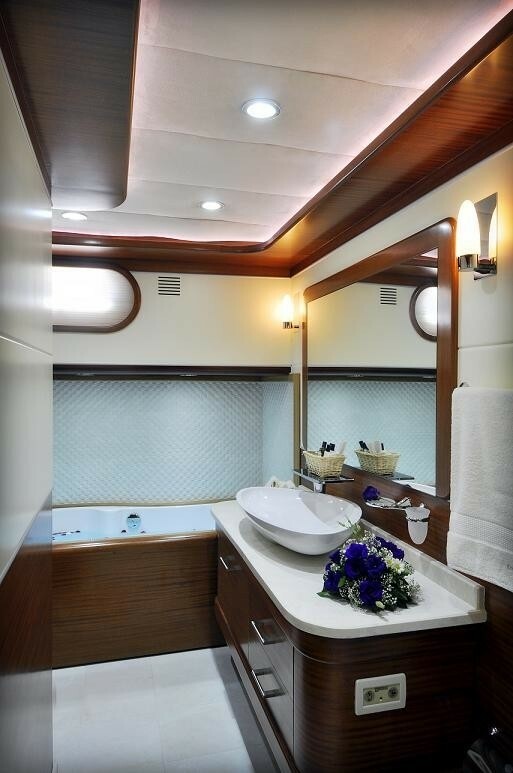 Wardrobe space is more than ample and the stylish en suite bathrooms are finished in sold creamy coloured marble enhanced by mosaic tiles and dark mahogany. 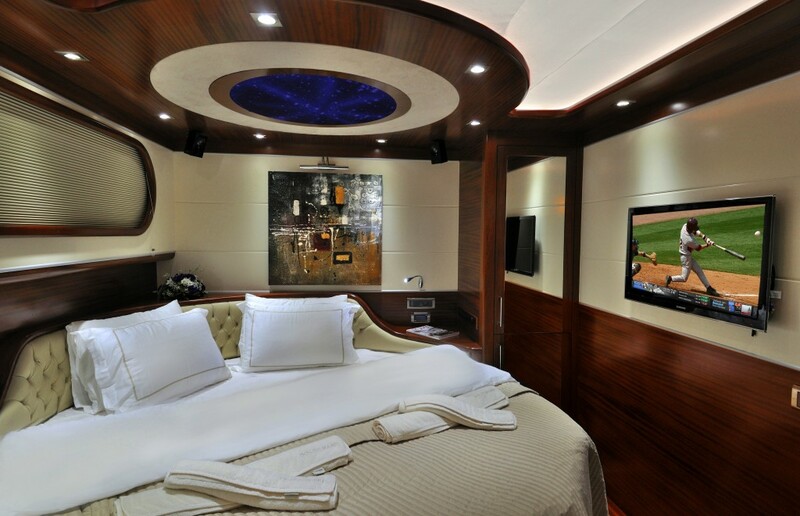 All cabins have the luxury of satellite TV, DVD player and music system. 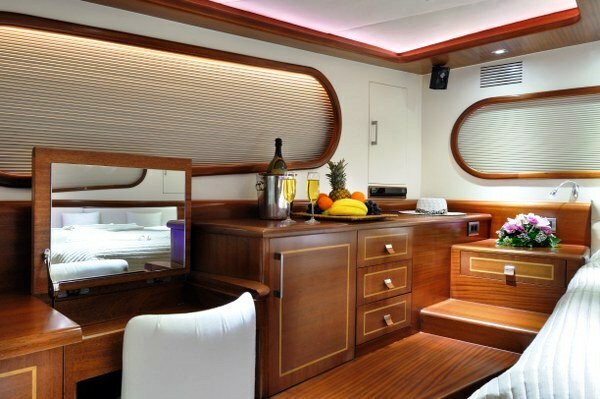 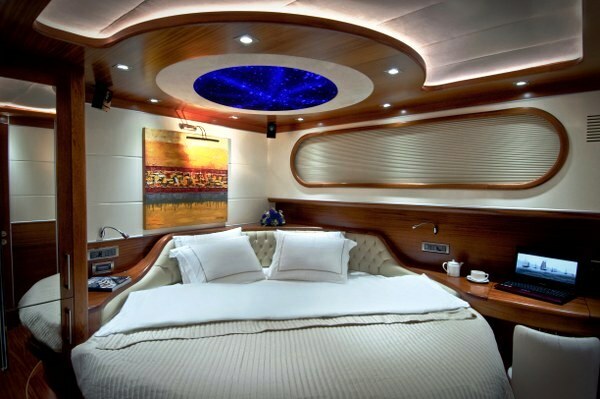 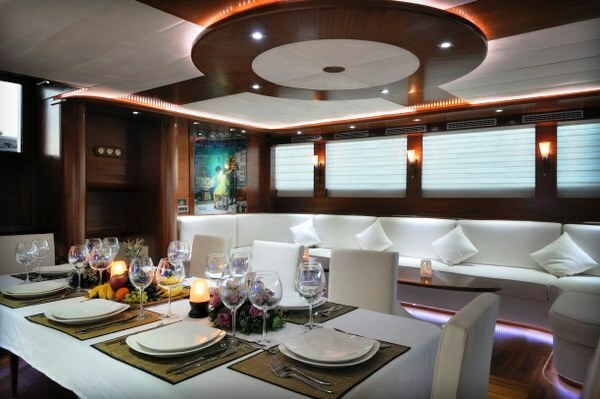 Air conditioning/heating is available on demand throughout the yacht. 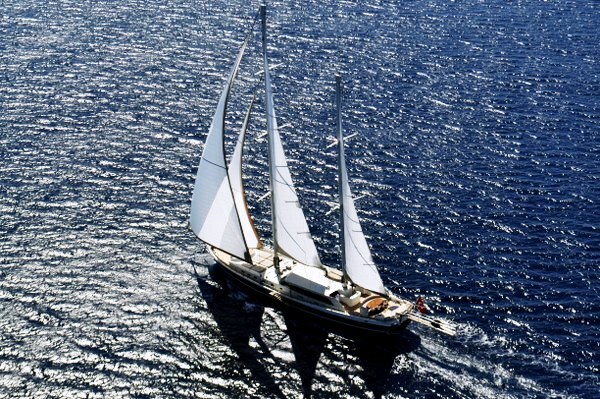 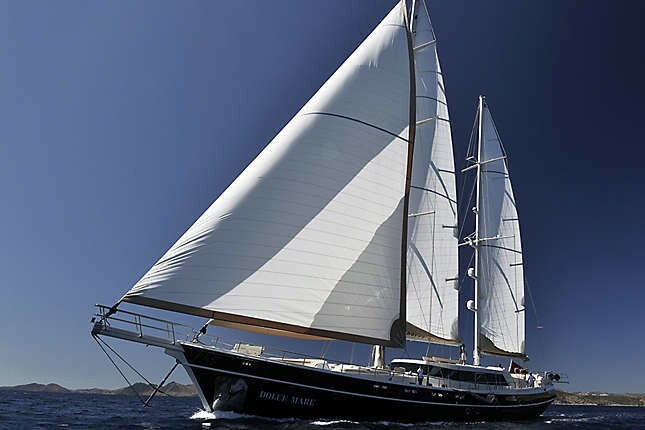 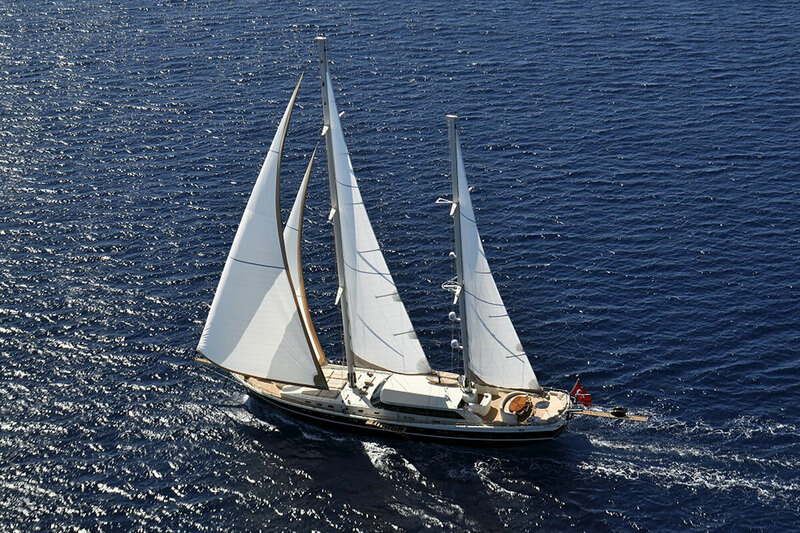 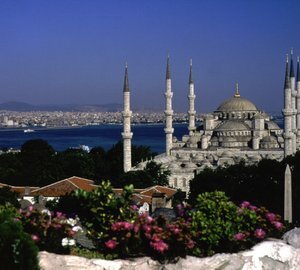 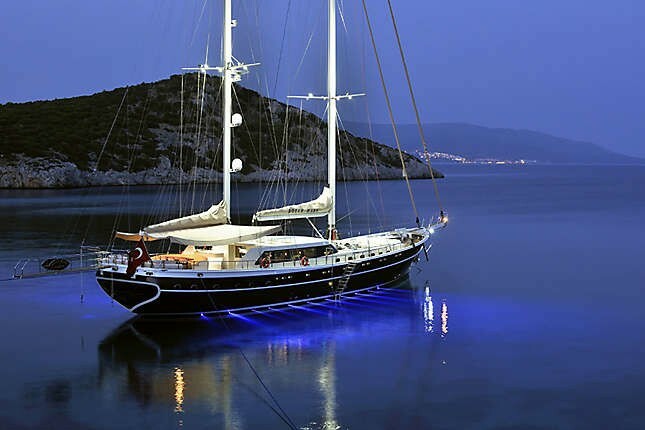 Luxury Gulet DOLCE MARE is fully equipped with a great range of facilities. 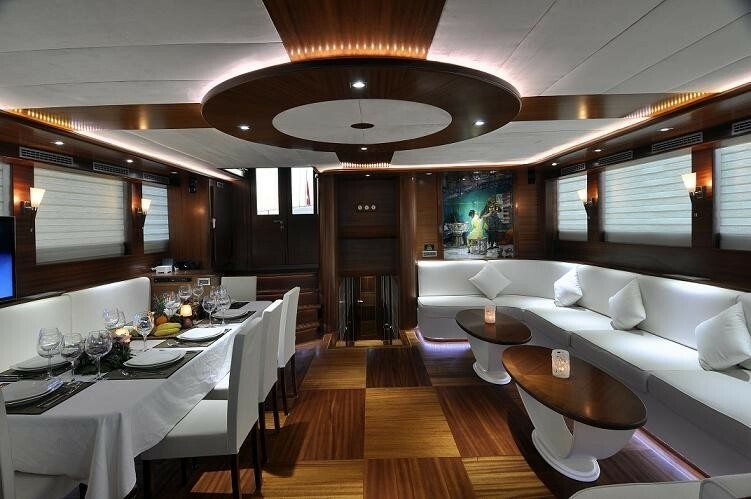 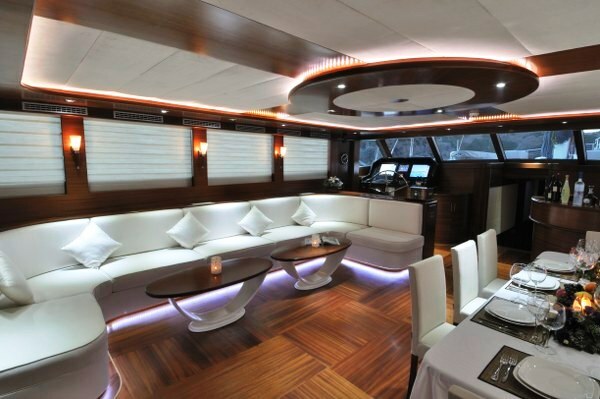 She offers several dining areas both inside and out and plenty of room for sunning on deck. She has a Deck Spa Pool and a wide choices of watersports such as a Jetski, waterskis, ringo, wakeboard and canoes.